Hands-on science using Vernier sensors with your Chromebook is easy and inexpensive with our USB data-collection technology and free Graphical Analysis™ 4 app. For Chromebook™ users, we have cost-effective interface options for data collection. If you plan to conduct experiments using multiple sensors and a Chromebook, LabQuest Mini is an easy and affordable option that connects to a Chromebook via USB. Paired with our Graphical Analysis 4 app, your students can conduct a wide variety of hands-on investigations. For experiments with a single sensor, check out our Go!Temp, Go!Motion, and our Go!Link single-channel interface. Students in a lab group set up an experiment with Vernier sensors and an interface, such as LabQuest Mini. Using Graphical Analysis 4, students set experiment parameters and start data collection. Students analyze data in class or at home, all in Graphical Analysis 4. Students use Graphical Analysis 4 to wirelessly collect, analyze, and share sensor data in science and math classrooms. Graphical Analysis 4 facilitates student understanding with real-time graphs of experimental data. Students enhance their work and lab reports with statistics and curve fits. Vernier sensors are rugged, classroom-proven technology that are well supported and easy to use. Choose from over 75 sensors for your experiments. In addition to LabQuest Mini, there are other interfaces that you can use with your Chromebook. 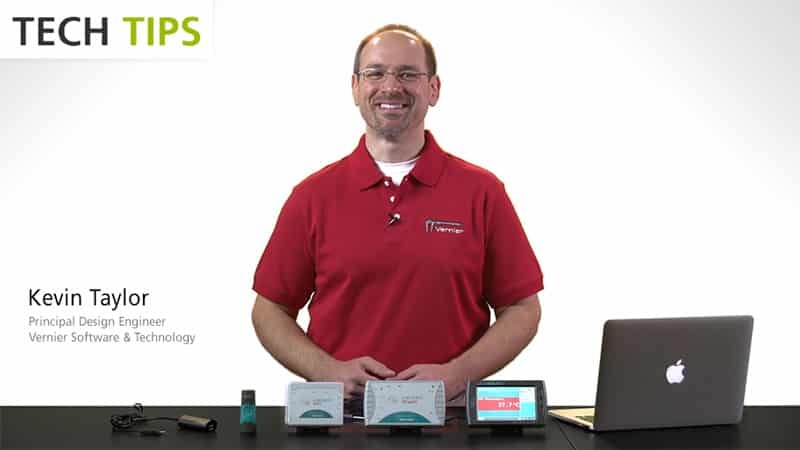 Watch our interfaces overview video or select an interface to learn more and see its list of compatible sensors. When you are looking for the flexibility to connect to a computer or Chromebook, wirelessly stream data to mobile devices, or use an all-in-one standalone data logger, LabQuest 2 is the perfect choice. This versatile data-collection interface is compatible with all your Vernier sensors. Designed to meet the needs of mobile learning environments, LabQuest Stream can connect directly to a computer or Chromebook, or wirelessly stream data to a mobile device. Do you prefer all-in-one sensors, without the need for an interface? Consider Go Direct sensors. Compatible with Graphical Analysis 4, students can directly connect sensors, either through USB or via a compatible wireless connection. Plug either a Go!Temp or Go!Motion directly to your Chromebook (no USB interface required) to collect and analyze temperature or motion data. Using Chromebook and LabQuest 2 provides full sensor support and wireless data logging with over 80 Vernier sensors for personalized, engaging, hands-on science.